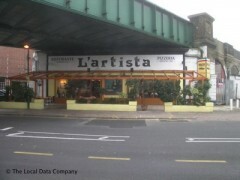 About: L'artista is a popular restaurant opposite Golders Green tube station, serving inexpensive pizza and pasta dishes. the best food and the best service from the most good looking waiters! !